The 2016 United States House of Representatives elections in Pennsylvania were held on November 8, 2016, to elect the 18 U.S. Representatives from the Commonwealth of Pennsylvania, one from each of the state's 18 congressional districts. The elections coincided with the 2016 U.S. presidential election, as well as other elections to the House of Representatives, elections to the United States Senate and various state and local elections. The primaries were held on April 26. The 1st district included central and South Philadelphia, the City of Chester, the Philadelphia International Airport and other small sections of Delaware County. The incumbent was Democrat Bob Brady, who had represented the district since 1998. He was re-elected with 83% of the vote in 2014 and the district had a PVI of D+28. Brady was unopposed for the Democratic nomination. Bryan Leib had filed with the FEC and announced his intention to challenge Brady for the Democratic nomination in July 2015, but did not file to run. Debbie Williams ran unopposed for the Republican nomination. The 2nd district includes parts of West Philadelphia, North Philadelphia and Northwest Philadelphia in addition to Lower Merion Township in Montgomery County. On June 23, 2016, two days after being convicted of 22 corruption charges, Democratic incumbent Chaka Fattah, who had represented the district since 1995, resigned his seat in Congress. 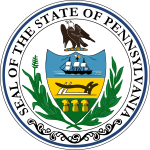 On July 1, 2016, Governor Tom Wolf announced that a special election would be held on November 8, concurrently with the regularly-scheduled election, to fill Fattah's seat for the final eight weeks of the 114th United States Congress. Fattah was re-elected with 88% of the vote in 2014 and the district has a PVI of D+38. Fattah was defeated in the Democratic primary by state Representative Dwight E. Evans. James Jones ran unopposed for the Republican nomination. The 3rd district was in Northwestern Pennsylvania and included the cities of Erie, Sharon, Hermitage, Butler and Meadville. The incumbent was Republican Mike Kelly, who had represented the district since 2011. He was re-elected with 61% of the vote in 2014 and the district had a PVI of R+8. Kelly ran unopposed for the Republican nomination. The 4th district is in South Central Pennsylvania and includes all of Adams and York counties and parts of Cumberland County. Josh Burkholder is running for the Democratic nomination. The incumbent is Republican Scott Perry, who has represented the district since 2013. He was elected with 75% of the vote in 2014 and the district has a PVI of R+9. Perry is running unopposed for the Republican nomination. The 5th district, the state's largest and most sparsely populated, was in North Central Pennsylvania and included all of Cameron, Centre, Clarion, Clinton, Elk, Forest, Huntingdon, Jefferson, McKean and Potter counties and parts of Clearfield, Crawford, Erie, Tioga, Warren and Venango counties. Attorney Kerith Strano Taylor, who was the Democratic nominee in 2014, ran again. The incumbent was Republican Glenn Thompson, who had represented the district since 2009. He was re-elected with 64% of the vote in 2014 and the district had a PVI of R+8. The 6th district included communities north and west of the City of Philadelphia. The incumbent was Republican Ryan Costello, who had represented the district since 2015. He was elected with 56% of the vote in 2014, succeeding retiring Republican Jim Gerlach, and the district had a PVI of R+2. The 7th district was in the Philadelphia suburbs, including most of Delaware County along with portions of Chester, Montgomery, Berks and Lancaster counties. The incumbent was Republican Pat Meehan, who had represented the district since 2011. He was re-elected with 62% of the vote in 2014 and the district had a PVI of R+2. Stan Casacio, a businessman and former Cheltenham Town Councilman, challenged Meehan for the Republican nomination. The 8th district was in Southeastern Pennsylvania and included Bucks County, along with portions of Montgomery County. State Representative Steve Santarsiero sought the Democratic nomination for the seat. Other potential Democratic candidates included former U.S. Representative Patrick Murphy, Bucks County Commissioner Diane Marseglia, businesswoman and 2014 candidate Shaughnessy Naughton, and United States Army Ranger and 2014 nominee Kevin Strouse. The incumbent was Republican Mike Fitzpatrick, who had represented the district since 2011, and previously represented it from 2005 to 2007. He was re-elected with 62% of the vote in 2014 and the district had a PVI of R+1. Fitzpatrick, a supporter of term limits, had pledged to limit himself to four terms in the House and did not run for re-election. Dr. Marc Duome, a clinical psychologist and businessman declared his candidacy for the seat. Potential Republican candidates included State Senator Chuck McIlhinney, State Representatives Gene DiGirolamo and Scott Petri and Bucks County Commissioner Rob Loughery. Former Lieutenant Governor Jim Cawley had been speculated to run, but he instead became president and CEO of the United Way of Greater Philadelphia and Southern New Jersey. The 9th district was in South Central Pennsylvania and included Cambria, Blair, Huntingdon, Franklin, Fulton, Bedford, Somerset, Fayette, Greene and Washington counties. The incumbent was Republican Bill Shuster, who had represented the district since 2001. He was re-elected with 64% of the vote in 2014 and the district had a PVI of R+14. Shuster, the chairman of the House Committee on Transportation and Infrastructure, was challenged in the 2014 Republican primary by two candidates, Art Halvorson and Travis Schooley, unhappy with his support for earmarks that bring projects to the district. Halvorson and Schooley both were considering running again. On April 24, 2015, The Hill reported that businessman Tom Smith, who self-funded a 2012 U.S. Senate campaign, was considering a primary challenge of Shuster. Halvorson had pledged that he would not run if Smith did and would support him. In July, Smith announced he would not run, citing unexpected health concerns. After Smith declined to run, Halvorson announced he would run again. On October 17, 2015, Smith died. While no Democrat appeared on the ballot, Arthur Halvorson, who lost in the Republican primary, received enough Democratic write-in votes to be the Democratic nominee; Halvorson vowed to caucus as a conservative Republican if elected. The 10th district was in Northeastern Pennsylvania and included Monroe, Pike, Lackawanna, Wayne, Susquehanna, Bradford, Tioga, Sullivan, Lycoming, Union, Columbia, Snyder, Mifflin, Juniata and Perry counties. After no candidate stepped forward initially to run for the seat, three write in candidates announced to vie for the Democratic nomination. Former Lewisburg Mayor and environmental consultant, Mike Molesevich, Bucknell graduate student, Steve Belskie, and Justin Sheare all sought the Democratic nomination. The incumbent was Republican Tom Marino, who had represented the district since 2011. He was re-elected with 63% of the vote in 2014. Jerry Kaines, a Lycoming County building materials salesman, had formed an exploratory committee for a potential Independent campaign. The 11th district was in Northeastern Pennsylvania and included Wyoming, Luzerne, Columbia, Carbon, Northumberland, Dauphin, Perry and Cumberland counties. Former Hazleton Mayor Michael Marsicano ran as a Democrat. The incumbent was Republican Lou Barletta, who had represented the district since 2011. He was re-elected with 66% of the vote in 2014 and the district had a PVI of R+6. The 12th district was in Southwestern Pennsylvania and included all of Beaver County and parts of Allegheny, Cambria, Lawrence, Somerset and Westmoreland counties. 2014 Democratic nominee Erin McClelland announced that she would run again in 2016. Attorney and renewable energy business owner Steve Larchuk, who ran in 2004 in the 4th district on a healthcare platform in support of Universal Healthcare for the United States, also ran for the Democratic nomination. The incumbent was Republican Keith Rothfus, who had represented the district since 2013. He was re-elected with 59% of the vote in 2014. The district had a PVI of R+9. The 13th district was in Southeastern Pennsylvania, covering eastern Montgomery County and Northeast Philadelphia. The incumbent was Democrat Brendan Boyle, who had represented the district since 2015. He was elected with 67% of the vote in 2014, succeeding retiring Democrat Allyson Schwartz, and the district had a PVI of D+13. Armond James ran unopposed for the Republican nomination. The 14th district included the entire city of Pittsburgh and parts of surrounding suburbs. The incumbent was Democrat Michael F. Doyle, who had represented the district since 2003, and previously represented the 18th district from 1995 to 2003. He was re-elected with 84% of the vote in the primary and unopposed in the general in 2014; the district had a PVI of D+15. Doyle was challenged for the Democratic nomination by Janis Brooks, who ran against him in 2012 and 2014. The 15th district was in Eastern Pennsylvania and included Lehigh County and parts of Berks, Dauphin, Lebanon and Northampton counties. Democratic candidates who planned to run included former Lehigh County Democratic Committee Chairman and 2012 nominee Rick Daugherty, Laura Quick, and David A. Clark. Archie Follweiler, a former Kutztown Borough councilman and state house candidate in 2006, filed paperwork with the FEC to run as a Democrat in June 2015, but had not made any announcement on whether he would run. The incumbent was Republican Charlie Dent, who had represented the district since 2005. He was re-elected unopposed in 2014 and the district had a PVI of R+2. The 16th district was in Southeastern Pennsylvania, just west of Philadelphia and included a large portion of southern Chester County, most of Lancaster County and a sliver of Berks County, including the city of Reading. The incumbent was Republican Joe Pitts, who had represented the district since 1997. He was re-elected with 58% of the vote in 2014 and the district had a PVI of R+4. Pitts did not run for re-election. The 17th district was in Eastern Pennsylvania and included Schuylkill, Carbon, Monroe, Luzerne and Lackawanna counties. The incumbent was Democrat Matt Cartwright, who had represented the district since 2013. He was re-elected with 57% of the vote in 2014 and the district had a PVI of D+4. Northampton County Councilman Glenn Geissinger and 2014 candidate Matt Connolly ran for the Republican nomination. The 18th district was in the southern suburbs of Pittsburgh and included parts of Allegheny, Washington, Greene and Westmoreland counties. The incumbent was Republican Timothy F. Murphy, who had represented the district since 2003. He was re-elected unopposed in 2014 and the district had a PVI of R+10. ^ Leib, Bryan (July 23, 2015). "I will be running for US Congress in 2016 to be a change agent 4 the people.I am not 'bought and paid for'. My only self-interest is change". Twitter. Retrieved January 29, 2016. ^ Leib, Bryan (July 9, 2015). "FEC Form 2 Statement of Candidacy - Leib for Congress" (PDF). Federal Election Commission. Retrieved January 29, 2016. ^ a b c d e f g h i j k l m n o p q r s t u v w x y z aa ab ac "Official 2016 Presidential Primary Election Results". Pennsylvania Secretary of State. Retrieved June 21, 2016. ^ a b Thompson, Charles (February 17, 2016). "Pa's Congressional race lineup: Like status quo? Voters will get chance to keep it". The Patriot-News. Retrieved February 18, 2016. ^ a b c d e f g h i j k l m n o p q r s "Pennsylvania 2016 General Election - November 8, 2016 Official Results". Pennsylvania Secretary of State. November 8, 2016. Retrieved December 28, 2016. ^ a b c d Brennan, Chris (July 1, 2016). "Special election for Fattah's former U.S. House seat will be Nov. 8". Philadelphia Media Network. Retrieved July 4, 2016. ^ a b Field, Nick (July 1, 2016). "PA-2: Special Election Scheduled for November 8th". PoliticsPA. Retrieved August 22, 2016. ^ Brennan, Chris (November 4, 2015). "Dwight Evans says he'll challenge U.S. Rep. Fattah in '16". The Philadelphia Inquirer. Retrieved November 4, 2015. ^ Bender, William (August 19, 2015). "Defiant Fattah proclaims innocence, talks Eagles". Philadelphia Daily News. Retrieved August 19, 2015. ^ "Candidates emerge to take on Fattah in April primary". Newsworks. September 25, 2015. Retrieved September 25, 2015. ^ Brennan, Chris (August 18, 2015). "Democratic ward leader to challenge Fattah for reelection". The Philadelphia Inquirer. Retrieved August 19, 2015. ^ Field, Nick (October 6, 2015). "PA-2: Sims Announces Congressional Campaign". PoliticsPA. Retrieved October 6, 2015. ^ Lavers, Michael K. (February 16, 2016). "Brian Sims drops congressional bid". Washington Blade. Retrieved February 16, 2016. ^ Guerriero, John (June 5, 2015). "Taylor to run again for Thompson's congressional seat". Erie Times-News. Retrieved June 7, 2015. ^ Falce, Lori (January 18, 2016). "Thompson announces congressional re-election bid". Centre Daily Times. Retrieved January 25, 2016. ^ "Parrish launches campaign for Congress in PA-6". philly.com. June 23, 2015. Retrieved June 24, 2015. ^ "25-Year-Old House Candidate Switches Districts 3 Months Before Primary". NBC News. Retrieved 2016-01-24. ^ Davies, Dave. "Political rookie shopping for the right district — NewsWorks". Newsworks.org. Retrieved 2016-01-24. ^ a b c d e f g h i j Field, Nick (January 27, 2016). "PA-6: Brady Endorses Li". PoliticsPA. Retrieved January 27, 2016. ^ Foster, James (February 11, 2016). "PA-6: Li's Hopes Find New Support". PoliticsPA. Retrieved February 13, 2016. ^ a b c d e f g h i j k l m n o p q r s t u v w x y z aa ab ac ad ae af Rugenstein, Kerry (February 4, 2016). "PA-6: Parrish Announces Endorsements From Democratic Leaders". PoliticsPA. Retrieved February 4, 2016. ^ Field, Nick (September 24, 2015). "PA-6: State Sen. Dinniman Endorses Parrish". PoliticsPA. Retrieved October 2, 2015. ^ Field, Nick (August 3, 2015). "PA-6: Daylin Leach Endorses Parrish". PoliticsPA. Retrieved October 2, 2015. ^ a b "Mike Parrish Announces Candidacy for Pennsylvania's 6th Congressional District". Mike Parrish for Congress. June 23, 2015. Retrieved October 2, 2015. ^ Field, Nick (July 7, 2015). "PA-6: Shapiro Endorses Parrish". PoliticsPA. Retrieved October 2, 2015. ^ a b c Rellahan, Michael (January 28, 2016). "Chester County Democratic Committee endorses Mike Parrish over Lindy Li". Daily Local News. Retrieved January 29, 2016. ^ a b c "Montgomery County Democrats Endorse Shapiro and Torsella". Montgomery County Democratic Committee. January 29, 2016. Retrieved January 29, 2016. ^ Logue, Tim (April 24, 2015). "Democrat will try again to unseat Rep. Meehan in 7th Congressional Dist". The Mercury. Retrieved April 27, 2015. ^ Tamari, Jonathan (November 16, 2015). "Philly pastor hopes to challenge Meehan". The Philadelphia Inquirer. Retrieved November 24, 2015. ^ Shuey, Karen (August 4, 2015). "Dave Naples, Montgomery County Democrat, aims to challenge U.S. Rep. Pat Meehan". Reading Eagle. Retrieved December 22, 2015. ^ Naples, Dave (January 16, 2016). "The upcoming election for State Representative is crucial..." Facebook. Retrieved January 29, 2016. ^ Carey, Kathleen E. (January 27, 2016). "Montgomery County businessman Stan Casacio seeks GOP nod for U.S. Rep. Pat Meehan's 7th District seat". PoliticsPA. Retrieved January 27, 2016. ^ Nick Field (January 8, 2015). "PA-8: Santarsiero Declares Candidacy". PoliticsPA. Retrieved January 8, 2015. ^ a b c d e f g h Nick Field (January 12, 2015). "PA-8: A Look at the Potential 2016 Field of Candidates". PoliticsPA. Retrieved January 13, 2015. ^ "can't rule out Rob Loughery". Christopher Nicholas. November 10, 2014. Retrieved November 11, 2014. ^ "In Pa., House Democrats Are Really Ready for Hillary". Roll Call. November 10, 2014. Retrieved January 29, 2014. ^ John L. Micek (December 14, 2014). "For the departing Corbett administration, a final bow in NYC: John L. Micek". The Patriot News. Retrieved December 16, 2014. ^ a b Field, Nick (March 5, 2015). "PA-8: Naughton Jumps Into Congressional Contest". PoliticsPA. Retrieved March 5, 2015. ^ Field, Nick (January 8, 2015). "PA-8: Santarsiero Declares Candidacy". PoliticsPA. Retrieved February 2, 2015. ^ a b c d e f g h i j k l m n o p Field, Nick (March 5, 2015). "PA-8: Santarsiero Unveils Slew of Endorsements". PoliticsPA. Retrieved June 17, 2015. ^ Field, Nick (January 15, 2016). "PA-8: Congressman Cartwright Endorses Naughton". PoliticsPA. Retrieved January 29, 2016. ^ "Climate Hawks Vote Endorses Shaughnessy Naughton for PA-08". Climate Hawks Vote. December 1, 2015. Retrieved January 29, 2016. ^ Field, Nick (September 17, 2015). "PA-8: Naughton Endorsed by Council for A Livable World". PoliticsPA. Retrieved October 2, 2015. ^ Palmer, Chris (September 9, 2015). "Naughton endorsed for Congress run". The Philadelphia Inquirer. Retrieved October 2, 2015. ^ a b c d Field, Nick (January 26, 2016). "PA-8: DePasquale Headlines New Endorsements for Santarsiero". PoliticsPA. Retrieved January 29, 2016. ^ a b c d e f g h Beck, Tom (April 14, 2015). "PA-8: Johnny Doc Among Labor Leaders Backing Santarsiero". PoliticsPA. Retrieved June 17, 2015. ^ "Fitzpatrick pledges to limit himself to four terms". Bucks Local News. February 8, 2010. Retrieved November 11, 2014. ^ "3 area Republicans face tough reelection after shutdown". Philly.com. October 24, 2013. Retrieved October 24, 2013. ^ Shira T. Center (January 8, 2015). "Democrat Kicks Off Race for Open Pennsylvania Seat". Roll Call. Retrieved January 9, 2015. ^ James McGinnis (January 13, 2015). "Bensalem's Gene DiGirolamo considering run for Congress". Bucks County Courier Times. Retrieved January 14, 2015. ^ Jane M. Von Bergen (January 13, 2015). "Cawley named head of area United Way". Philly.com. Retrieved January 14, 2015. ^ "Buckingham resident announces candidacy for U.S. Congress in the 8th District". Bucks Local News. January 9, 2016. Retrieved January 12, 2016. ^ Field, Nick (January 21, 2016). "PA-8: Report: Fitzpatrick's Brother to Seek Seat". PoliticsPA. Retrieved January 21, 2016. ^ Field, Nick (June 26, 2015). "PA-8: Warren to Run in 2016". PoliticsPA. Retrieved June 26, 2015. ^ Savana, Freda R. (December 7, 2015). "Former Bucks County prosecutor Dean Malik announces run for Congress". Bucks County Courier Times. Retrieved December 8, 2015. ^ "Dean Malik Drops Out Of Race For Congress". Levittown Now. February 18, 2016. Retrieved February 18, 2016. ^ Tamari, Jonathan (November 30, 2015). "Petri launches run for Bucks Congressional seat". The Philadelphia Inquirer. Retrieved December 5, 2015. ^ Tamari, Jonathan (February 2, 2016). "State Rep. Scott Petri drops out of congressional race". The Philadelphia Inquirer. Retrieved February 2, 2016. ^ Mullane, J.D. (January 28, 2016). "Ex-Democrat Brian Thomas seeks GOP nod, blue collar vote in 8th District". Bucks County Courier Times. Retrieved January 28, 2016. ^ McGinnis, James (February 8, 2016). "Eighth District Congressional candidate Brian Thomas drops out". Bucks County Courier Times. Retrieved February 9, 2016. ^ McGinnis, James (January 13, 2015). "Bensalem's Gene DiGirolamo considering run for Congress". Bucks County Courier Times. Retrieved June 26, 2015. ^ McGinnis, James (April 30, 2015). "Bucks County's Gene DiGirolamo bows out of congressional race". Bucks County Courier Times. Retrieved June 26, 2015. ^ Palmer, Chris (June 9, 2015). "Bucks Republicans may wage a competitive primary for Congress". The Philadelphia Inquirer. Retrieved October 2, 2015. ^ Alex Isenstadt (January 31, 2015). "They're back! The new tea party surge". Politico. Retrieved February 1, 2015. ^ a b Wong, Scott (April 24, 2015). "Former GOP Senate nominee eyes Shuster challenge". The Hill. Retrieved October 3, 2015. ^ Addy, Jason (July 9, 2015). "PA-9: Smith Staying Out of the Race". PoliticsPA. Retrieved October 3, 2015. ^ Wong, Scott (September 8, 2015). "GOP chairman to face Tea Party rematch". The Hill. Retrieved September 10, 2015. ^ Call, The Morning. "Tom Smith, conservative who ran for U.S. Senate, dies at 67". themorningcall.com. Retrieved 2016-02-13. ^ Field, Nick (January 28, 2016). "PA-9: Shuster Endorsed By Freedom Caucus Founding Member". PoliticsPA. Retrieved January 29, 2016. ^ Campbell, Andrea (November 20, 2015). "Lycoming Leader Jerry Kairnes Announces PA-10 Congressional Exploratory Committee". NorthCentralPA.com. Retrieved January 26, 2016. ^ Lynott, Jerry (July 12, 2015). "Former Hazleton Mayor Marsicano declares run for Congress". Times Leader. Retrieved July 13, 2015. ^ "Rep. Lou Barletta seeks re-election". Republican & Herald. February 1, 2016. Retrieved February 1, 2016. ^ Hayes, Liz (November 5, 2014). "Harrison Democrat vows to run again". Pittsburgh Tribune-Review. Retrieved February 11, 2015. ^ Taube, David (February 27, 2015). "Sewickley lawyer announces run for Congress". The Beaver County Times. Retrieved March 5, 2015. ^ Raap, Tony (February 14, 2016). "Allegheny County Democrats make primary picks". Pittsburgh Tribune-Review. Retrieved February 18, 2016. ^ Mursch, Alyssa (December 3, 2015). "PA-12: McClelland Wins Labor Endorsement". PoliticsPA. Retrieved January 29, 2016. ^ Mursch, Alyssa (December 16, 2015). "PA-12: McClelland Gains Support of United Steelworkers". PoliticsPA. Retrieved January 29, 2016. ^ Latimer, John (January 26, 2016). "Candidate hopefuls begin Primary Election nominating process". Lebanon Daily News. Retrieved January 29, 2016. ^ "FEC Form 1 Statement of Organization - Friends of Archie Follweiler" (PDF). Federal Election Commission. June 8, 2015. Retrieved October 20, 2015. ^ Addy, Jason (August 5, 2015). "PA-16: Democrat Christina Hartman to Seek House Seat". PoliticsPA. Retrieved August 5, 2015. ^ Shuey, Karen (December 15, 2015). "Dr. Gary Wegman announces run for Congress in 16th District". Reading Eagle. Retrieved December 17, 2015. ^ Janesch, Sam (December 16, 2015). "Stem cell scientist from West Hempfield to make second run at 16th district seat". LNP. Retrieved December 17, 2015. ^ Shuey, Karen (February 11, 2016). "Stem cell researcher drops out of race for Congress". Reading Eagle. Retrieved February 18, 2016. ^ a b c d e f g h i j k l m Field, Nick (November 5, 2015). "PA-16: DePasquale, Other Dems Endorse Hartman". PoliticsPA. Retrieved January 29, 2016. ^ Janesch, Sam (January 28, 2016). "County Democrats don't endorse congressional candidate, introduce six state House challengers". LancasterOnline. Retrieved January 29, 2016. ^ "Rep. Joe Pitts will not seek re-election to Congress in 2016". WFMZ-TV. November 6, 2015. Retrieved November 6, 2015. ^ a b c d "6 Republicans to run for 16th Congressional District in 2016". Lancaster Online. December 10, 2015. Retrieved December 10, 2015. ^ "Chet Beiler announces bid for US Rep. Joe Pitts' seat in Pennsylvania's 16th District". WFMZ. Lancaster, Pennsylvania. December 8, 2015. Retrieved December 9, 2015. ^ Field, Nick (November 9, 2015). "BREAKING: PA-16: Lloyd Smucker Announces Congressional Campaign". PoliticsPA. Retrieved November 9, 2015. ^ Shortell, Tom (August 26, 2015). "Northampton County Councilman Glenn Geissinger launches congressional run". The Morning Call. Retrieved August 27, 2015. ^ Gilger Jr., Mark (December 16, 2015). "Matt Connolly gives Congressional campaign another go". Republican & Herald. Retrieved December 20, 2015.